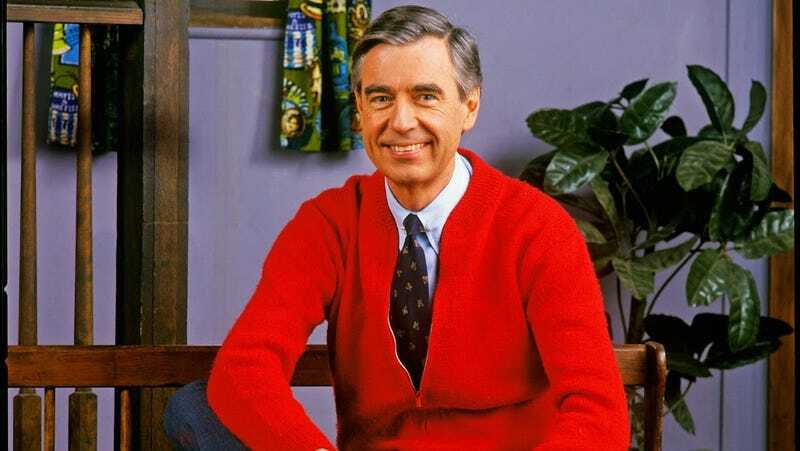 It's 3 p.m., let's watch Fox News blame Mr. Rogers for "ruining an entire generation"
Won’t You Be My Neighbor?, the critically acclaimed new documentary about Fred Rogers, is routinely reducing its audiences to deep, salty pools of tears. It’s both lovely and bewildering in these mean, divided times to see such a pure portrait of human kindness, the story of a man who still believed in the inherent goodness of humanity. It only makes sense, then, that Republicans would hate him. Back in 2007, four years after Rogers passed, the hosts of Fox & Friends devoted a sizable portion of their inane chattering to the question of whether or not Mr. Rogers is to blame for (checks notes) “ruining an entire generation.” Granted, there’s a self-awareness to their hyperbole, but that doesn’t change the fact that the hosts discuss the topic across multiple hours of television, even encouraging viewers to send in their own thoughts. Rogers’ sin, apparently, was in telling children that they’re special, “even if they didn’t deserve it.” In the estimation of these hosts—and this, it’s very clear, is not hyperbole—one must earn the distinction of being special. “He didn’t say, ‘If you wanna be special you gotta work hard,’” shrieks one of these goblins. “The world owes you nothing and you gotta prove it!” Yes, that sounds like a much better show for children. Elsewhere in the clip, the hosts discuss the “damage that Mr. Rogers has done,” blaming him for some nebulous sense of “entitlement” that’s destroying the kids of today. Viewer “Nancy from Tallahassee” takes things a step further, doubling down on the Rogers criticism while also blaming Sesame Street and Dr. Spock (this one, not that one) for the youth’s perceived ills. Won't You Read These Stories?